Yesterday we featured a quick design challenge for creating bow ties or other fashion accessories with Duct Tape. This exercise was actually a warm up activity to a skills workshop where students and teachers at Grand Isle School wanted to learn the basics of eTextiles. They had a particular project in mind -- an upcoming annual school tradition with the Grand Isle community -- A Swing Dance! The Swing Dance tradition actually started as a combo Physical Education / Social Studies project. During our time together, the Physical education teacher came in to talk to the students about the origins of this school/community event. He did a great job talking about how dance is a way to stay fit that is fun and social. He also shared some fun history facts, including the rise and fall of dance through history due to economic and political factors - like an entertainment tax! Imagine taxing Fun! Who knew! Since this integrated project was now connected with Music, Physical Education, and Social Studies -- the teachers brainstormed ways to connect it with even more disciplines like science, art and math. The idea of creating fashion accessories that used conductive thread and sewable LEDs came out of their brainstorming session. So one of the goals of this EMMA visit was to learn the foundational skills required to design possible ways to integrate circuits into fashions that could be worn during the Swing Dance event and then to move into having the students design their own possible fashion accessories that used circuits. After our initial warm up design challenge with duct tape, we moved into a short skill-building e-textile workshop. First we explored a few DIY no sew bow-tie like this one by horseygal2014 and this one from Youtique Bridal . After exploring various approaches to making a simple bow tie, we created a prototype from newspaper which provided us with a pattern. Using a Sharpie we marked where the LEDs might shine, where we might hide the battery, and where we might run our conductive thread. The students recent experience with duct-tape, LEDs, coin cell batteries and copper tape provided a great foundation to help them build their skill set that included making with fabric, conductive thread, and sewable LEDs. Once their prototypes were complete, they used the newspaper model as a pattern and started to make with fabric and conductive thread. These middle school students learned that sewing was more challenging than they realized. The next hour was filled with lots collaboration and encouragement. Students and teachers helping each other learn to thread needles, brainstorming how to layout the conductive thread and avoid short circuits, trying different ways to add insulators to the project, etc. Words like “Ooops”. “Mistakes”, “learning”, “trying” filled our journey of perseverance. What a great opportunity to talk about the concept of growth mindset. We identified the feelings when new learning is stretching us and imagined what was happening in our brain. We definitely experienced the high from learning a new skill, but we also experienced some of the frustrations from learning a new skill. An important part of the day were the conversations we had around our frustrations and failures and the language we used. 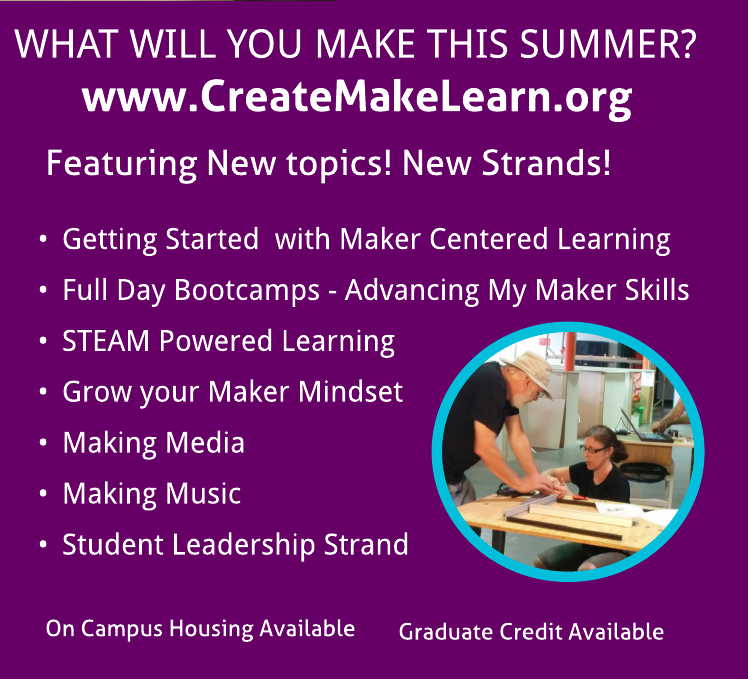 “Embracing Failure” as part of the process is often associated with maker centered learning. George encourages us to change the focus of that conversation from the noun 'failure' to the verb 'failing' and what happens next. Perhaps the next steps of the journey will eventually lead to a successful product. Almost all the famous stories encouraging us to "Embrace Failure" end with a story of success. If the light bulb had not resulted from Edison's many failures, we wouldn't be telling the story. 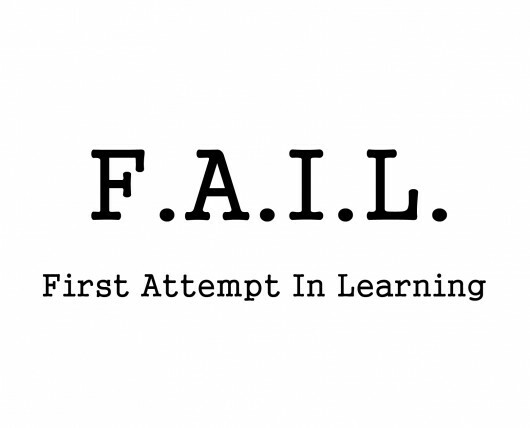 Perhaps failing will be lead to more learning or some type of innovation that came from a problem that contributing to the problem we experienced. With the right guidance, a frustrating experience in our project can lead to to EVEN MORE LEARNING and to developing important characteristics of learning like GRIT and RESILIENCE. We cannot underestimate the importance of teachers or mentors that guide the conversation to help us reflect on our experience in ways that help us become more resilient. 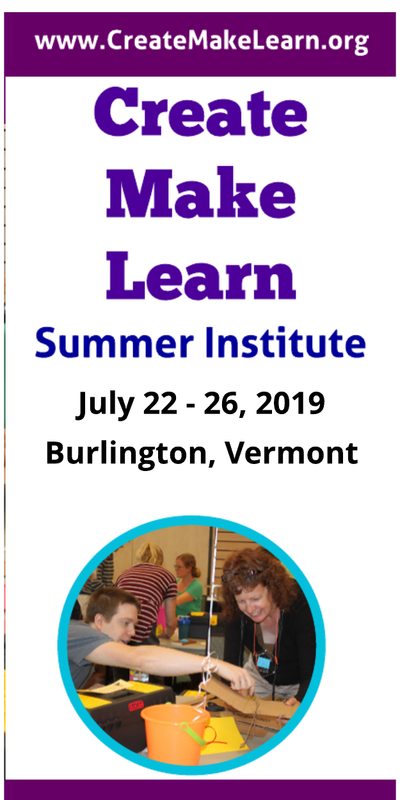 During our maker centered experience at Grand Isle School, I was fortunate enough to witness amazing teachers guide the conversation to increase everyone’s understanding of the importance of resiliency and grit. I saw one young man refuse to give us when when the circuit he had sewn together did not work. I saw him refuse help and insist that he could do this -- that he would figure it out! I also saw an insightful teacher whose understanding of how this student learns keep an eye out for the right time to back away and the perfect time to step in. Fortunately our maker centered experience moved past some challenging moments and ended in several successful models. And key to everyone’s success that day was the ability to collaborate, inspire, encourage, learn from the success of those around us and making adjustments to our approach and process. One big take-away for me to this day was about how important to have a follow up maker time after we reflect on any new maker experience. This follow up might have different outcomes for each of us. Some would probably iterate their project and end up with a successful product or a revised version. Some of us might end up focused on inventing new solutions to the challenges we experienced leading to new designs for the battery holder or threaders. Some of us might choose to move past the fine motor part of sewing with eTextiles supplies and instead dive into the coding part of eTextiles. The important thing is that the focus be moved away from product failures to the process of what learning starts to happens after the initial fail. This is probably best explained with George Curous’s illustration of the tweaks he made to this design. 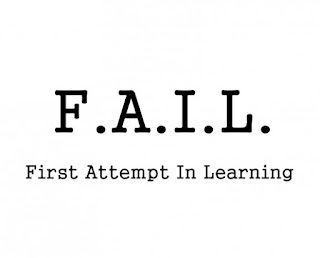 Check out these additional blog post from George Courous about Failure.